When Isabella Bird’s doctor advised her to travel overseas for the sake of her health, this probably wasn’t the image he had in mind. In the late 19th century, women with any kind of ailment were treated like delicate drooping flowers, likely to revive in clean air and the proximity of water. But Isabella Bird, the highly intelligent and free-spirited daughter of a Yorkshire vicar, was bored by the fashionable resorts of her day. Stifled by the society of her peers, she longed to escape into the wild and unknown territories that lay beyond the horizon. And escape she did… on horseback, mule and yak; down raging Chinese rivers and over snow-blocked Tibetan mountain passes; through the bandit country of Colorado, across the deserts of Morocco and the Middle East, and into the humid forests of Malaysia. Standing only five feet tall but with a will of iron, Isabella was an unlikely blend of frailty and ferocity, languishing amid the comforts of home but instantly revitalised by the first whiff of foreign lands. Safely landed in Hawaii, Isabella found freedom – and it was exhilarating. She abandoned convention and rode around the country at will, braving floods and fleas alike and camping on the slopes of Mauna Loa as the volcano crashed and roared like a sleepless dragon. For her, there was no turning back: vast regions of the world lay before her like an unopened book, and her mission was to write the chapters. ‘The Pau or Hawaiian Ladies’ Holiday Riding Dress’ by Isabella Bird. 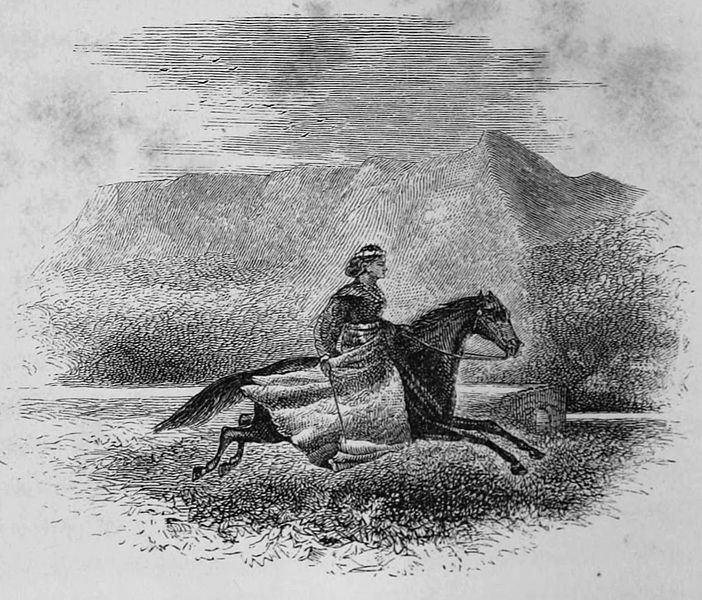 It’s impossible to tell whether the lady is riding side-saddle or astride: in fact, Isabella was relieved to find that women in Hawaii rode astride, a habit which would have caused outrage in Victorian Britain. Her drawing, published in one of her books, gives just the right amount of detail! By day Isabella cooked and cleaned and helped to drive the cattle, often spending ten hours on horseback, and in the evenings she listened as Jim read his self-penned poetry. But when he asked her to marry him, she knew what the answer must be. Isabella steeled herself to refuse Jim’s proposal, and it tore at her heart. This impossible desperado had touched her like no one else in her life, and she saw beneath his wounds, both mental and physical. But whisky was his master, and his frank revelations about past crimes had shocked her to the core. Stifling the tears, she packed her belongings and rode away. She would never see him again: just a few months later, Jim got himself into a brawl and was shot dead. For most women, that might have been enough drama for one lifetime, but for Isabella the adventure was only just beginning. If America had captured her heart, the Far East was now calling to her soul. 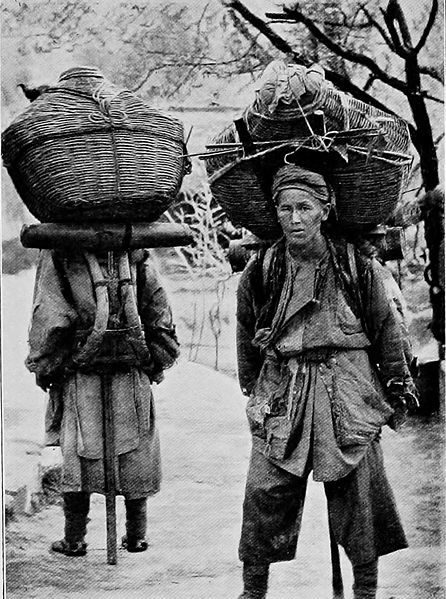 She journeyed into Tibet and China, taking just a few vital provisions and relying on local people to offer her transport and hospitality. Excitement and exhilaration awaited her. If plunging up to her neck in snow-bound mountain passes and sleeping in flea-infested muddy barns wasn’t enough for her, Isabella soon had to confront troubles of a different sort. 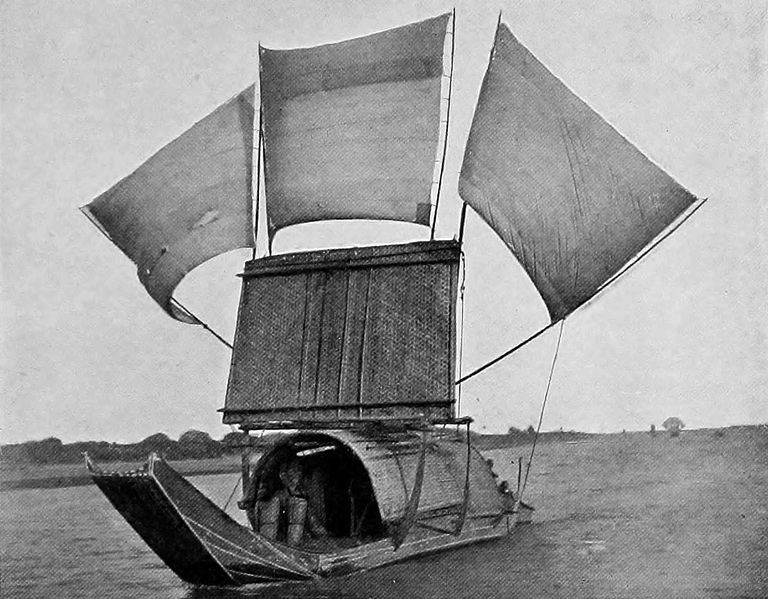 She was penetrating far into western China, reaching places that had never been visited by Europeans, and the people were understandably suspicious. On one occasion, her travelling chair was pursued by a howling mob of several thousand, hurling stones and threatening to overturn her. Running for her life, she barricaded herself into a ramshackle hut as an army of would-be attackers hammered on the door. She was saved only by the quick action of one of her porters, who pleaded with the local Mandarin to send his soldiers to the rescue. 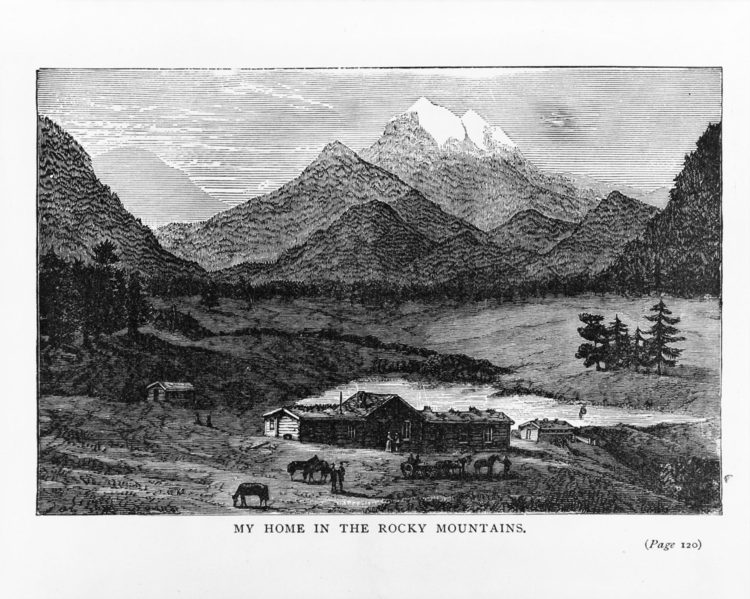 Travelling by chair and accompanied by several ‘runners’ and baggage coolies, Isabella marvelled at the mountain corries with their exquisitely cultivated terraces; she gazed at richly coloured temples perched high above her on rocky ledges, and saw farmhouses set amid cypress and cedar groves. She was fascinated by the local industries, observing distilleries and mills for producing paper and flour. Whenever Isabella returned home to Britain she succumbed to the vague but debilitating illness that she had suffered since childhood. Amazingly, she found time to marry: in 1881 she wed John Bishop, an Edinburgh doctor, who had been smitten with her for several years. But by 1886 she was widowed. She had no children, and her salvation, as always, was travel. Photography became a new passion, and she strapped her camera to her travelling chair, developing her photographs under the dark night sky. 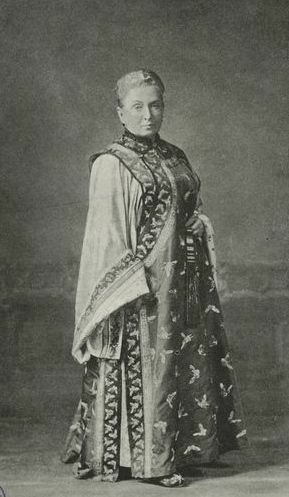 When she lectured to the London branch of the RSGS in 1892, and to the Society’s Scottish branches in 1897, Isabella captivated her audience with limelight views of towering mountains and vast rivers, fabulous pagodas and rich palaces. 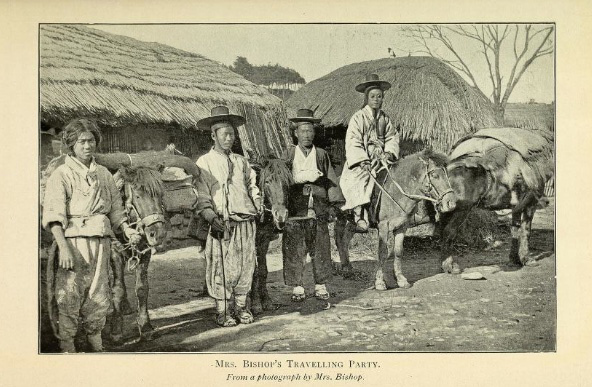 She also gave them a first glimpse into the lives of people in remote Chinese villages, the shocking poverty and disease, the strange customs and the structure of their societies, as yet untouched by the western world. Not surprisingly, Isabella Bird Bishop received “a very hearty reception”, and in 1891 she was the first woman to be elected a Fellow of the Royal Scottish Geographical Society – a well-deserved accolade for an extraordinary woman. 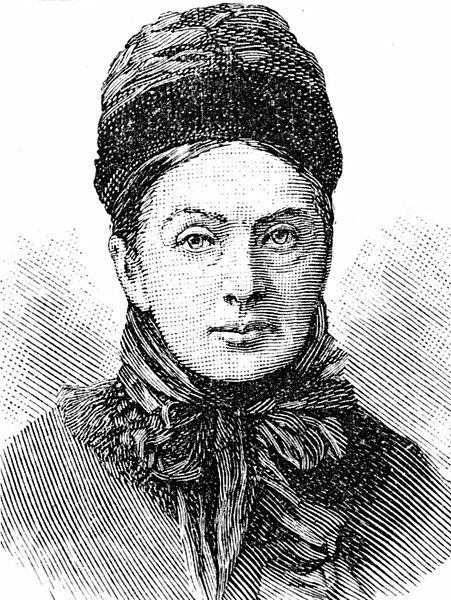 Isabella Bird is one of the explorers featured in my new book, ‘The Great Horizon‘ (Sandstone Press). What a fascinating woman! I just ordered “The Golden Chersonese” on line and I’m sure I’ll be getting more. Why haven’t I heard of this woman before! Extraordinary, indeed. She must have been mentally very strong to make the decision not to marry Jim Nugent, and to endure the hostility she found in China. That would be enough to make most people turn tail and leg it out of there. It’s interesting that she fell ill whenever she came back to Britain. Perhaps it wasn’t so much the climate as the restraints of life at home. Do you know if she was ill on her travels too? Sometimes having something to take your mind off illness is as good as any medicine. 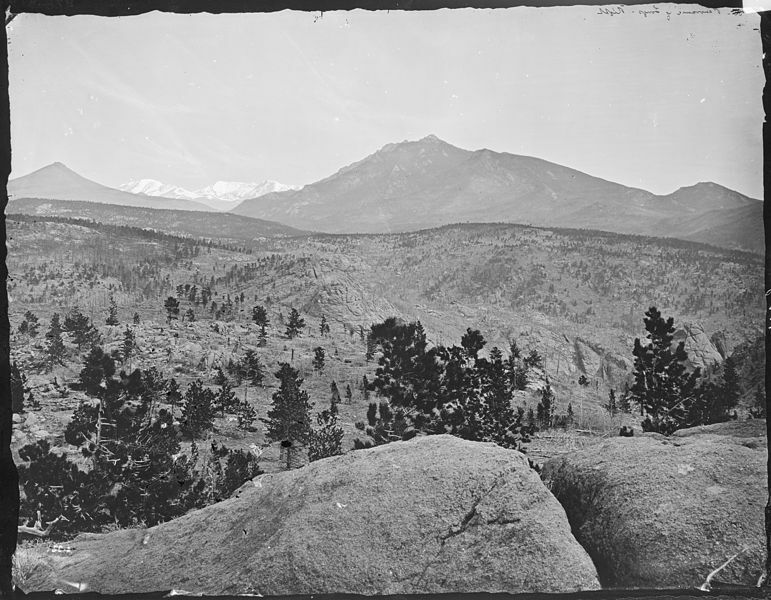 I know – she seemed to be in command of herself at all times (in her writing) but you wonder just what she felt for ‘Rocky Mountain Jim’. It must have been heartbreaking. I believe that she was only truly ‘ill’ when she came back to civilisation – she lived in Tobermory at one time, and on one occasion, having returned from China, it took her several weeks just to gain the strength to walk from her house to the village. Ironically, on her travels she was often pursued by people demanding miracle cures which she used to dispense from her medicine chest. But I have yet to come across any real complaints of illness on her travels – her spirit at those times was quite dauntless. You’re most welcome, Susan. Yes, the more I read about Isabella, the more I am amazed. She had enough adventures for several lifetimes! Well done; you are shining a light on the travels of an extraordinary woman, who is an important part of the history of the Society. Thank you very much, Barrie. Isabella was an inspirational woman to write about – her character fascinates me, and she had enough adventures for several lifetimes. It would have been wonderful to hear one of her lectures! Hi, I’ve gotten here thanks to an interview with a Spanish writer and journalist named Cristina Morató, who knows this woman and who has written books about great travelers. I did not know the story of Isabella Bird and it has been a pleasure to discover her thanks to your blog. I do not know if you know the story of Mary Kingsley but I also got her life and experiences, another great traveler who knew how to face many damages of the time. This has opened a door for me to seek and know much better this great traveler. Greetings and congratulations for the article. Sorry if my English is not good I’ve been able to do thanks to the Google translator, like reading your blog. I do know of Mary Kingsley – another inspiring woman. I absolutely love her writing! To go to Africa, alone and on her own terms, in the late 19th century… and then to come home and talk about how the British Empire shouldn’t be imposing their own politics there… she was incredible. In fact, her very first public lecture was given to the RSGS in Edinburgh.